The Creative Path: A View from the Studio on the Making of Art, by Carolyn Schlam, published May 2018. 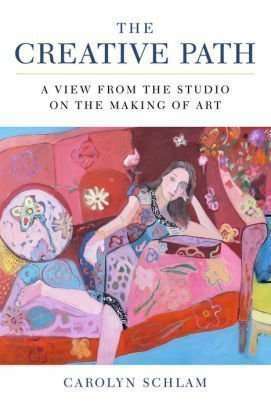 This book is a recounting by the author of her beginnings in the 1960’s as a painter and her experiences and insights with her mentor, painter Norman Rabinowitz, a “Mr. Miyagi” type instructor. The introduction describes the influence of Norman on the author’s work ethic and practice and Norman’s influence is stated throughout the book. The book is organized into chapters expressing different stages or thought processes within an artist’s potential career: Inspiration, Your Instrument, Intention, Ways and Means, Truth and Beauty, Commitment, Observer/Critic, An Artist’s Life, Voices, and finishing up with The Big Picture. The book is part recollection, part instruction, part art history, part exercise. At the end of each chapter are exercises or asana’s that draw on the topics and principles described in the chapter. And an appendix includes notes and texts written by Norman, a bibliography, and acknowledgemnts. 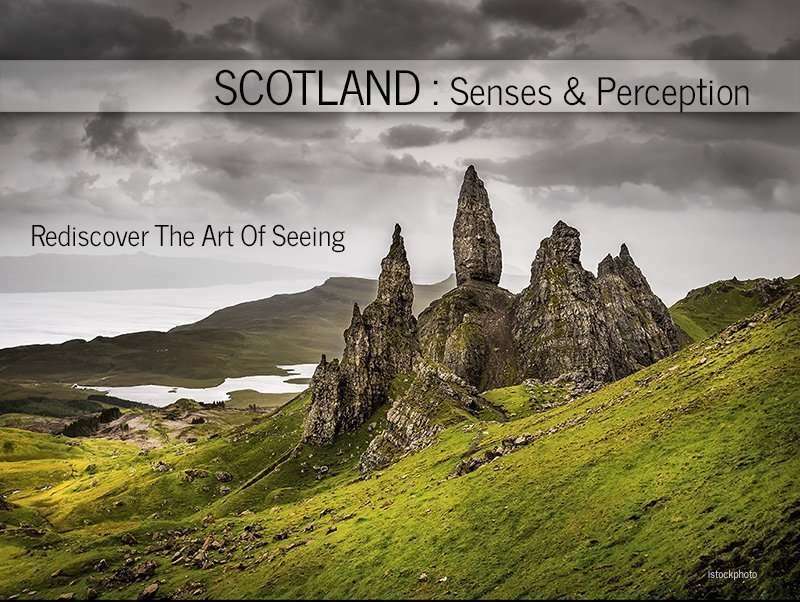 The book is easy to read and is written in a conversational style with a philosophy of art loosely following the Gestalt philosophy of visual perception and promoting Godly inspiration as the source of an individual’s art. This book contains many contradictory approaches to art making. The author describes and promotes one way of making art, then later describes a totally different way. This isn’t really new. As an artist myself, I encounter many contradictory situations. I change my mind all the time. But this book seems to be intended to be an artist’s guide despite the retrospective or autobiographical feel. The author’s goal or intention is unclear, the tidbits of artistic guidance are scattered. Perhaps, as an artist’s guide, it is eventually too personal. The descriptions of Norman and his method of teaching were interesting to read, sometimes funny, also sometimes contradictory, and his personal definitions of some terms informs the reader why the author has developed her own definitions, as described above. Reading the book frustrated me because I have read books with similar intent that were so much better. There are recurring questions photographers are asked when discussing photography: What is your favorite photograph you’ve made? 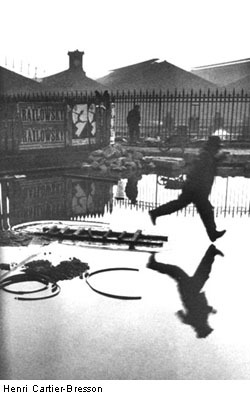 What is your favorite photograph by another photographer? What is your favorite place to photograph? What is your favorite camera/lens? etc. Questions about a photographer’s opinion of things that more often than not have no actual relationship between the photographer and the person asking the question. Sometimes it’s genuine curiosity, but most often these are “easy” questions as a conversation starter, perhaps. But, do you really want to hear why I like a certain photograph or location or piece of equipment? Because, from me at least, you’re likely going to get more than you asked for. Besides, how do I describe a photograph you’ve probably never seen in a way you understand why it’s a favorite of mine? Without the ability to show you the picture you form in your mind from my description won’t be close. Even if I could show you the photograph, my reasoning is probably going to be too long, too short, or lack relationship with your own experiences or expectations. 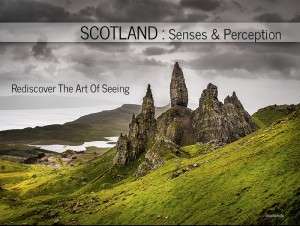 The same for locations, gear, and my praise of another photographer’s work. These and other “favorite” questions are difficult to answer or are even irrelevant because favoritism is temporary, and because we don’t favor THINGS. Make a list of your favorite things. Do it now in your head or write them down. It’s likely a long list: movies, food, people, events, beaches, music, cars, clothes, cities, countries…the list goes on. Then review your list. What’s missing? I’ll bet what’s missing are some of your favorite things from last year or when you were 40 or 25 or 12 or 3. Why aren’t your favorite things from high school still your favorite? Do you have a singular favorite that has withstood the ravages of time? If so, examine it, analyze for yourself why this favorite thing has persisted. Brainstorm and write down everything you can think of that makes it a favorite. Compare the characteristics with your favorites that have come and gone or are in your “favorite bin” at the moment. Any similarities? What are the differences? Our favorite thing is not actually a thing, but an experience or emotion. It’s what moves us to feel good, strong, empowered, empathic, safe, smart, accomplished, alive, accepted. The list of favorite things changes with our knowledge, experiences, preferences and skills. How many times have you said on vacation “I want to live here”, only to have that feeling replaced by the next awesome place you visit? Our favorites can be fleeting or grow in stature over time, like the accumulation of a patina. A favorite dessert of mine is cherry pie. But not just any cherry pie. There are certain characteristics of texture, flavor, intensity and consistency that elevate a cherry pie from simple preference to the favorite bin. The mixture of sour and sweet (more sour than sweet), the consistency of the filling (not thick), the texture of the crust (flaky, not doughy), and the addition of complimentary spices that add an element of surprise, all add up to a pleasant emotional experience that I will return to as long as that experience is maintained. It’s the experience I enjoy, not just that I like sour cherries. Our favorite moments are juxtapositions of ideal circumstances – atmosphere, companions, emotions, location, etc. We often try to replicate these circumstances to relive the emotional high produced by these special happenings. But it rarely works. However, there will be other such moments that eventually replace the previous moment as a favorite, and those older moments join the others in the group of favorites we can lovingly recall from memory. The basis of our favoritism can be complex. A significant object or event is often connected to a significant experience. The favorite thing is a memento mori of sorts, reminding us of our vanity (how good we felt, how good we made others feel), mortality (you can’t take it with you), and the transience of everything (this, too, shall pass). Emotions and memories fade and are replaced, material objects break and decay. A true favorite, though, withstands time, trends, fads, and vanity. It remains because of its influence on you, its emotional importance, and despite negativism and ridicule by others. In 1943, Abraham Maslow wrote A Theory of Human Motivation in which he proposed a hierarchy of needs. Diagrammed as a pyramid, physiological needs necessary for survival form the base, or foundation. This is where food, space, shelter, and mates exist. Moving up the hierarchy are safety, love/belonging, esteem, and self-actualization (the motivation to realize one’s full potential). It’s interesting to note that 3 of the 5 levels in Maslow’s hierarchy are emotional motivations – esteem, belonging, potential. The association of motivation and favorite things has been exploited by salesmen and marketers since the dawn of history. Creating pleasurable emotional experiences engages customers, helps control their buying impulses, and retains them as repeat customers. In some circumstances, people will be repeat visitors or customers for the experience even if the product is not considered a favorite. For photographers (and other artists), our satisfaction comes from creating beautiful, interesting, meaningful work as the result of experiences we have in life and in making art or making photographs for a client. A photograph of a landscape can be as much of a favorite as a corporate headshot or a sporting event. And as our experience grows and our skill set improves our list of favorite photographs and locations and gear will change. Even the much-discussed and promoted concepts of personal style and vision are just the current ways a photographer uses to interpret their world and communicate their message. These, too, change over time. Favorites are fugacious: transient, temporary, ephemeral, ever-changing. That’s a good thing. It’s improvement, variety, growth. Don’t hold too tightly to favorites. It can be sad to see a favorite go, but the new ones will be just as good, if not better. This project, in part, has been an exploration of crowfunding and the various options and successes and failures. 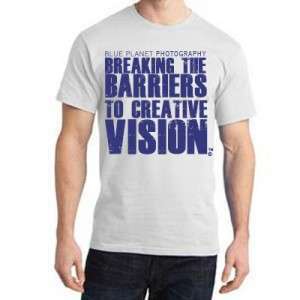 I’d like to offer these fun and inspirational photography and art-related t-shirts you can wear to express your artistic sentiments. 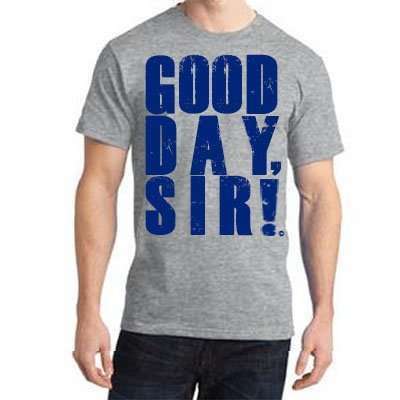 The shirts are high quality, 100% cotton for comfort. Great for gifts, too! Available for $23 plus tax (if required) and shipping (if needed) in men’s and women’s sizes, S, M, L, XL i t-shirt colors of heather/ash or white with blue or black text (XXL and XXXL large also available for slightly more). Art often gets a bum rap. Well, I should be more specific and say art making often gets a bum rap. Making art is often viewed as something done for fun, a diversion from the day-to-day responsibilities of job and family. Art is something we do in our spare time, like reading a book or gardening. Unless, of course, you’re actually making a living at making art, then it’s ok and you can go about your business as a respectable member of the community without being asked when you’re going to finally get that “real job.” The artist character in movies, television, and literature is often portrayed as the loveable and talented but nonetheless jobless, irresponsible freeloader who sleeps on the couch at a friend’s house. Some even say making art, and funding it, is a waste of time and money. I should also say I’m referring to art in the context of this article mostly as works created by an individual artist through his/her own passion, voice, and creativity, not commercial art created for a particular audience. We occasionally attend plays, concerts and exhibits and watch artistic television and movies, saunter down to the local pub to hear the latest band, or purchase art from galleries and individual artists. 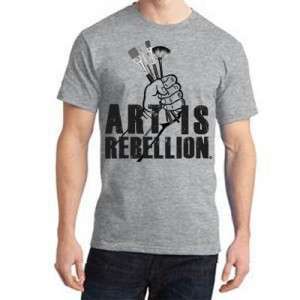 Otherwise, as a society and as individuals we are generally not engaged with artists or making art on a regular basis. Our individual participation in the arts is minimal and from a distance: “We have become a society composed almost entirely of audience” (Ted Orland, artist & author). As a society, we relegate the responsibility of the support of the arts to the government as a common good, or to the consumer as a commodity. These two forms of validation leave out the majority of art makers who create works because they love it, not because they’re getting paid. And, in times of financial or political uncertainty the arts are usually the first to suffer because art is perceived as an elective rather than a necessity, as a hobby rather than a pathway to greater understanding, creativity, and innovation, as an after-school activity to keep kids occupied until parents get off work rather than a means to bridge cultural understanding. The arts exert a powerful influence on the development of societies. Artists often challenge commonly-held perspectives with innovative thinking, raise awareness of social issues, break down barriers to cross-cultural understanding and global dialogue, and inspire creative ideas. If art is important to the development of societies, yet art funding is unpredictable and insufficient, and art is not viewed as an important pursuit, what encourages people to set aside time to doodle, write a poem, walk in the park, paint a picture, or photograph? Art is not made by a special breed of people, but by ordinary people who have dedicated a piece of their lives to special work… Artists are regular people who work all the time, and lead real lives all the time as well… The need for more art in the community is not nearly so great as the need for more artists in the community. Every neighborhood should support a musician or two, a painter or two, a writer or two. I suggest “artist” refers to anyone who makes art, dedicated individuals and “part-time artists” alike; adults and children. Many, if not all, neighborhoods have a local artist living there or at least nearby. They may not call themselves an artist, but it is someone who paints, draws, knits or quilts, makes scrapbooks, wood toys or builds kites. What if neighborhoods engaged with their local artist(s) to have them teach about their art, supported and encouraged their art making, and neighborhood residents became more active making their own art as a result? What if the neighborhood artist, supported by the neighborhood, inspired a neighborhood of artists? What does neighborhood support of an artist look like? How about hiring the artist to lead after-school programs, to give demonstrations in the local park, neighborhood musicians getting together in the park or on a cul-de-sac for an evening concert or jam session. A neighborhood art show, play or outdoor movie night? And support doesn’t always mean money. “Artists need to feel they have the support of the community in their art making efforts; if not for what they have already achieved, then for the potential they represent” (Ted Orland). What about working with city and state arts organizations to engage neighborhood children in creating public art where they live? Could a neighborhood be inspired to support neighborhood artists? If a neighborhood doesn’t have a local artist nearby, arts organizations and clubs may have a list of artists you can contact. The arts are a powerful tool in building and sustaining successful neighbourhoods. Community-engaged art making is a unique and effective approach to community building that fosters relationships between artists and residents while producing exciting, unique art, and nurturing mentoring opportunities. The result is a dynamic explosion of creativity that changes how art is made, how communities are built, and how we live together. In Lowell, Massachusetts a neighborhood created a public art piece that involved local children. In Taos, New Mexico, the Harwood Museum of Art set up Neighborhood Arts Projects that went to neighborhoods to bring art to children and families during the summer months. There’s nothing stopping a neighborhood from doing something similar on its own with their local artist. In Detroit, a neighborhood of abandoned homes was turned into an art gallery that changed the character of the area for the better. Back to Toronto, a city that created Neighborhood Arts Hubs (NAHs) that act as catalysts for projects, link artists and residents, offer meeting and networking space, and generally promote the cultural activities in the neighborhood. NAHs are designed to act as a resource and to support a spectrum of arts activity, not compete with community art programs already happening. NAHs cooperate and complement the work of other NAHs including libraries, health centers, schools, and after-school programs. How can this be done? Where will the funding come from? Your projects don’t need to be expensive. There are many art projects that can be done with items found around the house. Neighbors could collect materials from their own homes to provide for projects. There are many sources for funds that can be found working in collaboration with your artists. State, county, and city arts agencies provide grants, so do foundations like The Knight Foundation. Several outlets for crowd-sourcing funds are out there like www.kickstarter.com, http://crowdfunding.com/, www.indiegogo.com, and www.razoo.com. Neighborhoods can self-fund projects entirely or in part through their own fundraising efforts. Your local arts council/agency and community centers will be very happy to work with you and your artist(s) to help find sources, write grants, and build your neighborhood art community. As an artist, explore the possibility with your neighbors. As a neighbor, explore the possibility with an artist you know. I’m pretty sure it’ll be fun, challenging, and beneficial to everyone who participates (and probably even to those who don’t). A photograph is formed by light. It’s the light and its direction, color, brightness, absorption and reflection that gives us the ability to see the things we see, and the colors, shapes, forms, and gesture make the photo appealing to our eyes and emotions. Overall, the photograph is an interpretation by the photographer of what was seen and/or felt emotionally at the time. When we look at a photograph the photographer hopes they’ve accomplished their task to allow us to see what they saw and maybe experience in some way a sense of “being there”. 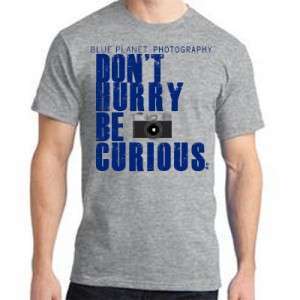 While the visual aspect of a photograph is important to the viewer, timing drives a successful or unsuccessful image. You’ve probably heard or read the popular phrases “F8 and Be There” and “the Decisive Moment“, both terms coined back in the hey-day of photography. You probably understand their meaning, and maybe even used them to describe one of your photographs or a photograph you’ve looked at. These phrases embody one philosophy of photography almost to the exclusion of all other aspects of creating a photograph. If a picture is a little blurry or a bit too dark or too light, but captures an important occurrence or captivates the viewer in some way, we’re more forgiving than when the picture is of a more mundane subject rendered sharply. Of course, we will probably mutter “I wish it was in better focus”, but a photograph of an important moment at the right instant captures that moment forever and blurry or not people will probably still be impressed, and even more so if all the technical aspects are met. But even the technically perfect photo capturing the moment just before or just after the critical instant pales in comparison to the less-perfect one made “at the right time”. “F8 and Be There” is believed to have been coined by the famous photojournalist and street photographer Weegee (Arthur Fellig), though some say the source was photographer Allen Hopkins. We’ll probably never know for sure. The general philosophy behind “F8 and Be There” is by using an aperture of F8 (or thereabouts; in general, a small aperture) you’re likely to have a generous depth of field to ensure all the important elements are in focus. And you have to “be there” to get the shot. Photographer Jay Maisel also said, “If you are out there shooting, things will happen for you. If you’re not out there, you’ll only hear about it.” Regardless of the technical details of camera settings, if you’re not “out there shooting” you won’t be there when things happen, you won’t get the (or any) shot, and you’ll only hear the stories from the people who were (and probably see their photographs, too). 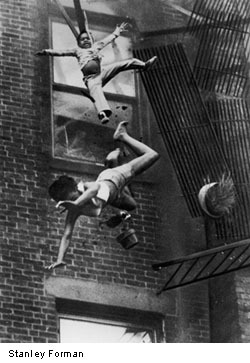 The next photo is “Fire Escape Collapse” by Pulitzer Prize winning photographer Stanley Forman. This photo is a prime example of “right place, right time” coupled with preparation and awareness. Forman, as he arrived on scene, was listening to what was going on and heard a call for a ladder truck because there were people trapped on the fire escape at the back of the building. He chose a position on top of the firetruck as the best position to view what was expected to be a routine rescue. But, as the rescue ladder was positioned, the fire escape gave way. Forman was able to shoot two exposures as the woman and child fell. The story of the fire escape collapse photograph is Here. All the technical skill available is next to useless if you’re not “at the right place at the right time”; the coming together of light, subject, moment, viewpoint, and technique. * understanding what’s happening so you’re able to think ahead and anticipate what’s coming next, etc. We’ve all “partly been there”, when we’re in the right place but the wrong time, at the right time but the wrong place, or have selected the wrong camera settings for the situation. Bringing the primary conditions of “right place” and “right time” together takes work, knowledge, practice and patience, and experience teaches us to identify when that moment occurs or is about to. To put ourselves in a position to maximize our “luck” and Be There at the Decisive Moment we likely need to do some serious and in-depth research on our subject or subject matter, acquire special access and/or permits, learn new skills (photography and non-photography-related), hike or drive long distances, climb hills, cliffs, trees or buildings, stand, sit, or lie down for long periods of time, or generally spend hours, days, or longer waiting, waiting, waiting. Or, it can happen in front of us in nearly an instant. A good percentage of the time, however, “being there” is simply being aware of your surroundings because opportunities for good and great photographs happen all around us all the time. We have to be ready for the unexpected and prepared for the long haul. 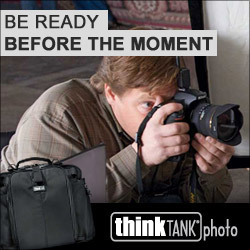 And, once the moment arrives we need to have the technical skills to accurately capture the moment the way we intend to interpret it. Ted Orland is also the author of The View from the Studio Door, a kind of sequel to Art & Fear (but not really). In this online 2006 interview, found at The Well, Mr. Orland talks about his early years as a budding photographer and artist attending Ansell Adams workshops, studying the photographic history of Yosemite, his association with photographers such as Sally Mann, David Bayles, Chris Johnson, Robert Langham and Boone Morrison, among others. Also discussed is the philosophy behind the new book, The View from the Studio Door. There are multiple pages to this interview, but well worth the time to read.